It’s been just a year since the Californian food trend of poke washed up on our shores and since then the popularity of this healthy, filling and delicious dish has exploded. Mark the arrival of Summer 2017 with Ahi Poké, the casual all-day restaurant dedicated to serving the Hawaiian marinated raw fish dish poke. Ahi Poké restaurants are aimed at individuals seeking variety, quality and dynamic flavours. The food is made fresh to order, retaining full nutritional value of the sustainably sourced produce. 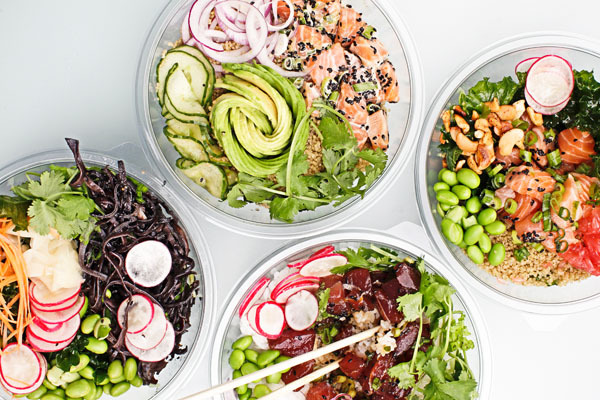 The result is fresh, nutritional poké bowls, bursting with clean, vibrant flavours. Ahi Poké’s London flagship shop (June 2016) is conveniently located just off Charlotte Street in Fitzrovia, with 2 more planned for the near future. 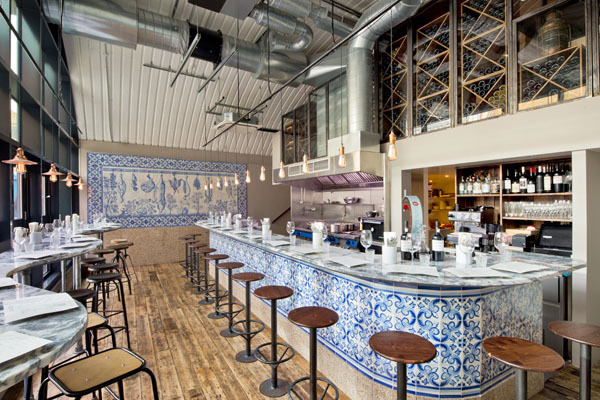 Bringing the terra of Portugal to the arches of London Bridge, Bar Douro opened last November, at Flat Iron Square. The rustic bar and restaurant draws inspiration from the traditional cervejarias and tascas of Lisbon and Porto, serving up a contemporary take on Portuguese cuisine alongside expertly sourced regional wines. The mastermind behind Bar Douro is Max Graham, who spent his childhood in Porto and the past few years running sold-out Portuguese pop-ups in the UK. Together with head chef Tiago Santos, Bar Douro’s menu ranges from Petiscos (snacks) including Croquetes de Alheira (croquettes with smoked sausage) to small plates such as Pork ‘Alentejana’ with Clams – not to forget everyone’s favourite custard tarts, Pastel de Nata, served with cinnamon ice cream. Food is teamed up with a carefully curated Portuguese wine list, with 70 wines available, all housed in the arch of Flat Iron Square, with Marble-countertop dining. 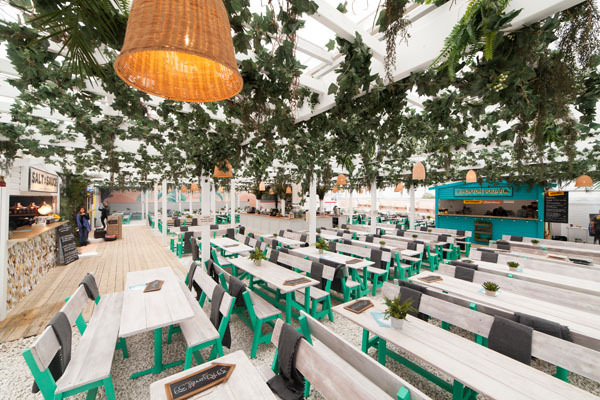 8 Hoxton Square are making their debut at this year’s summer edition of West London’s rooftop dining experience, having recently unveiled their Mediterranean Shack at Pergola on the Roof. 8 Hoxton Square is the sister restaurant to critics’ favourite 10 Greek Street and serve fresh, seasonal Mediterranean inspired dishes. 8HS will be serving up the best seasonal ingredient plates, with Mediterranean influences, diners can feast on dishes like fried baby squid (£8), chargrilled prawns, yoghurt, parsley and pomegranate (£10), and dexter beef, new potatoes, horseradish and broad beans (£12). Lighter plates like padron peppers (£6), burrata and tomato salad or bruschetta (£9) and charcuterie sharing plate (£12) will also feature on the menu, alongside daily changing specials. 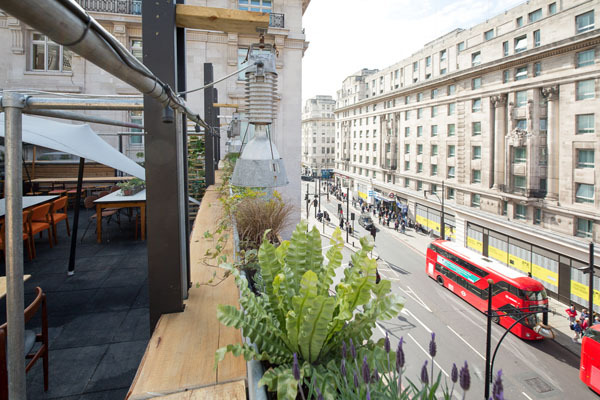 Opened last week, Sisu is the latest rooftop hotspot, with views over bustling Oxford Street. The team behind last year’s alfresco favourite #NotchLDN have transformed the space into a utilitarian nature reserve where Londoners can escape the bustle of the city in Scandinavian-inspired surrounds with a greenhouse street food restaurant and Negronis on tap. The Sisu team have commissioned a bespoke, coin-op cocktail tap that allows customers with tokens to dispense their own Negronis and Old Fashioneds, available alongside their signature pours (served in small or large jars), a wine list of nice/nicer/nicest, and a selection of street-food plates, from miso aubergine tacos, fried chicken waffles, to Canadian-style poutine.